Experience the beauty of Croatia, take a break from crowds and restaurant dining and do something different! 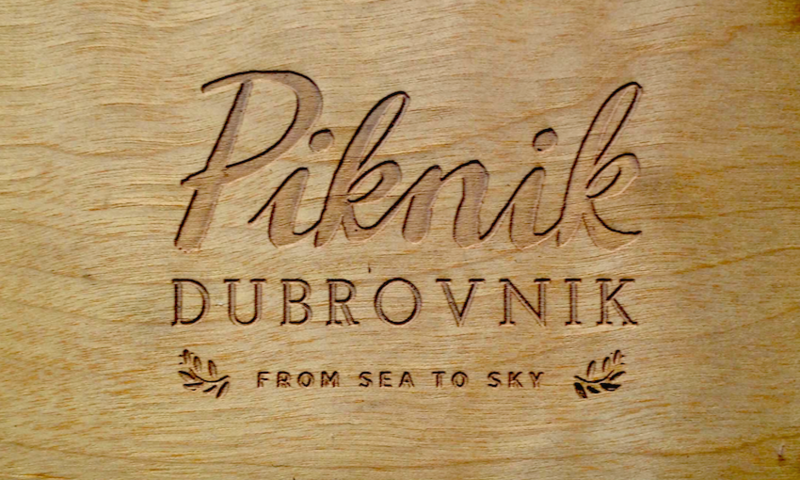 Piknik Dubrovnik was created from the heart, inspired by a love for the natural beauty of Croatia the variety of superb traditional products made by locals - perfect for enjoying outdoors! Order a takeaway piknik and you get a beautiful arrangement of tasty surprises in a comfy, insulated pack with a blanket to stretch out on and all the details thought of. Pick up at an arranged time and place in the Old Town, so easy! Whether you imagine a panoramic view, wish to kayak to a pebbled cove, explore an ancient fort, island hop, or lounge in a shaded olive grove - we have designed our piknik kits to travel anywhere. We stock your insulated piknik backpack with a delicious selection of local specialties, from savoury to sweet. The wine comes chiled- and we always throw in a few surprises to make things extra memorable. Scroll to WHERE TO PIKNIK for a local's advice on the best spots to piknik. Your Piknik comes as a complete kit, designed to travel, arranged perfectly. Eco friendly & low waste to keep Croatia beautiful. Wherever you go, your food will remain fresh and tasty. All backpacks are insulated and comfortable to carry with a blanket strapped to the outside. Wine and lemonade comes chilled with a sleeve to keep it that way! You will see that we have thought of all the practical & stylish details for a wonderful time. book by mail is best! Special occasions, birthday picnics (cake and candles oh la la), and kid friendly picnics are available. Vegetarian and other dietary requests accommodated with advance notice, extra fees may apply. Piknik Dubrovnik supports local, domestic made products. We have carefully chosen many of our suppliers, and consider these people our friends that we are proud to support! Our menus and ingredients vary according to seasonal availability. Our goal is to provide fresh, healthy, interesting, local food that travels well! Group orders are welcome, and hosted picnics as well! We request that you order at least one day in advance (for 2-6 people), and as much in advance for groups, to give us time to prepare your piknik perfectly! Fresh bread, crackers & fresh pastry. Great salads. Always changing and always market fresh. A whole lot of special! (Meat or vegetarian options.) *Not just an ordinary sandwich! Because we get so many requests for honeymoon picnics, we decided to make a special menu and page just for you! We would be very happy to help you plan the perfect romantic piknik to remember - from the menu details to your location and plans. DRINK: Your choice of chilled white wine, red wine or craft beers. Spend the day on LOKRUM ISLAND with a piknik. swim, explore, find your own hidden cove or olive tree to relax under. Stretch your legs and work off the wedding indulgences with a SUNSET HIKE AND PIKNIK with us! SIP AND SAIL - BOOK A SKIPPERED SAIL and hosted piknik and sail into the sunset and below the city walls with us! Take our map to the most romantic viewpoint and chapel ruins above town. Ask us for details. NEW! Guided hikes to your piknik! 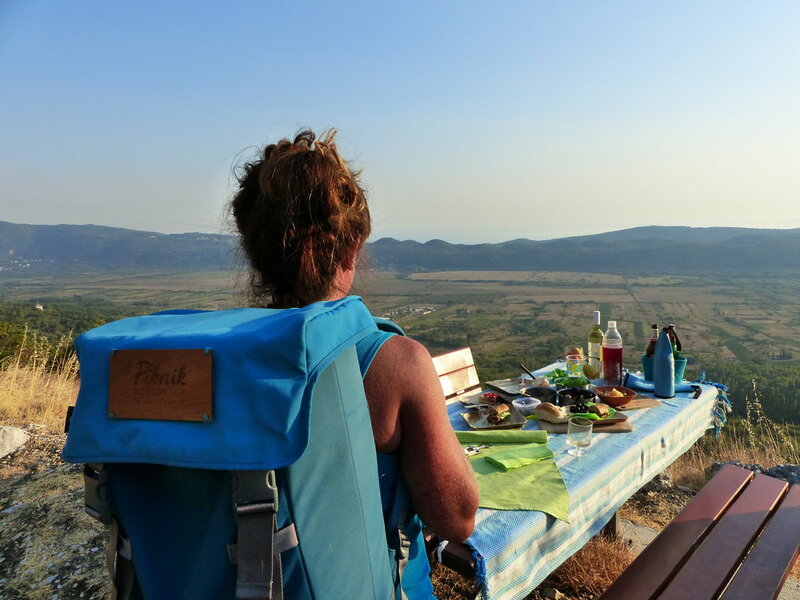 Piknik Dubrovnik has teamed up the two great women from of Hiking & Climbing Around Dubrovnik to create some excellent options for those you like what we like - fresh air, exercise, fun and adventure, with the reward of great food enjoyed outdoors. Let us take you up to gorgeous panoramic views, splendid scenery and history, arriving to your piknik already set up, and refreshing drinks, and local wines to try. If you are looking for a way to stretch your legs, and climb above the crowds this is for you. Skip the cable car line up and join us on an unforgettable hike up to the Imperial fortress (cable car destination), on Srd ridge for Croatia's most famous panoramic view of Dubrovnik’s Old Town. The view stretches along the coast and behind you the ridges of Bosnia Hercegovinia! Arrive to a gourmet piknik arranged beautifully in a peaceful spot away from the crowds. Stunning sunset views in a secluded setting. Great conversation accompanied by local wines and a feast of homemade food - an unforgettable evening! The hike is moderate - 1.5 hours & piknik 1.5 hours. Departure times depend on daylight. Guests are free to take the cable car down to town following the piknik. Proper footwear required for rocky, gravel trail. 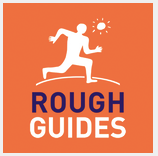 Professional and fun guides. Let us take you off the beaten path to one of our favourite places that is both beautiful and historical. 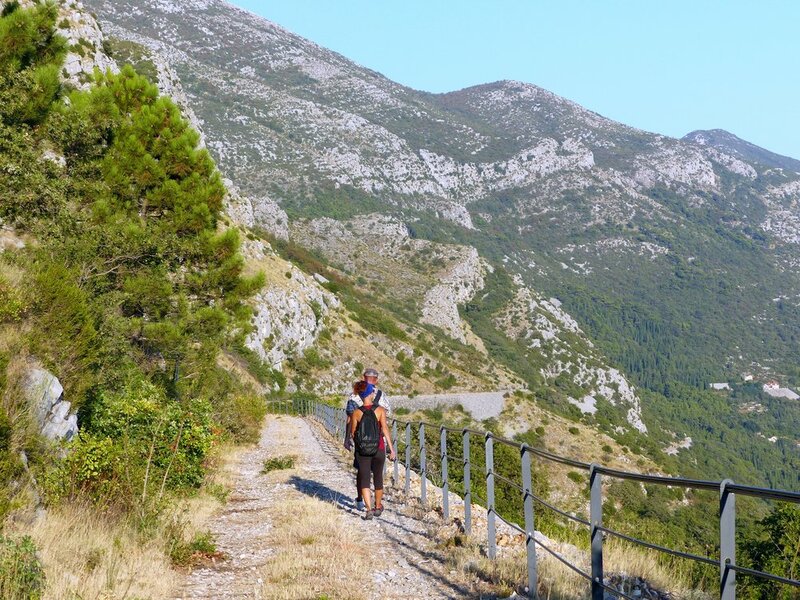 The Čiro trail traverses the high ridges above the Konavle valley south of Dubrovnik, following the route that was once the Austro Hungarian rail line that connected the coast to continental Europe. This is an opportunity to see a unique part of the region that most visitors do not experience. 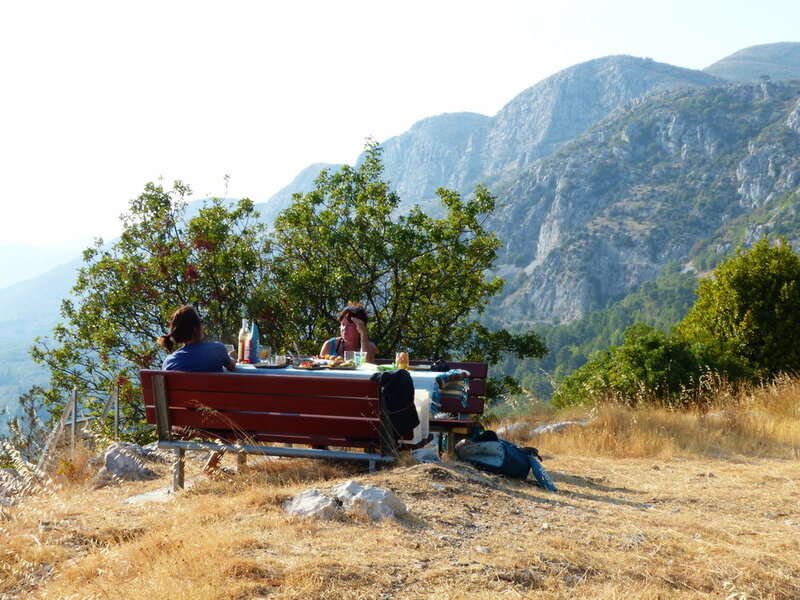 Your gourmet piknik will be waiting for you at an ideal location that looks over the valley full of vineyards, cypress trees and traditional villages. Enjoy a local wine tasting, and a fabulous selection of local goodies and products that will be waiting for you following the walk. Surprise included along the way! Great for kids too. Moderate level with professional guides. Duration 3 hours including piknik + plus transfer 45 min each way. (4.-4.5 hours). Groups welcome! The more the merrier! *SPECIAL REQUESTS FOR HIKING AND ADVENTURES TO OTHER LOCATIONS SUCH AS ISLAND HIKES ARE AVAILABLE UPON REQUEST. "Thank you so much! This hike and piknik combo was not only one of our best experiences in Dubrovnik, but a highlight of our entire Croatia holiday!" "..our afternoon on Lokrum was like a fairytale!" A day or afternoon spent on Lokrum Island is a perfect compliment to a visit to Dubrovnik, especially when the Old town gets hot and busy! EASY! A short 15 minute ferry hop to paradise! Boats depart frequently from the Old Town Harbour. Lokrum Island is our most popular location for a piknik. Pine scented forest trails lead to historical monastery grounds, botanical gardens, Game of Thrones locations, a hilltop fort with views of Dubrovnik, and many idyllic swim spots. Find your own paradise, as there is plenty of room. Your picnic comes with a map, and a story about the legends of Lokrum island, and our local tips on where to piknik! A great start to your day is a relaxing boat trip south, to the village of Cavtat. This is only the beginning of your adventure. Hop in a taxi that will take you for a quick drive through the pretty villages of Konavle valley to the trailhead. You will wind your way down a breathtaking trail and through a cave to a spectacular beach! Undeniably one of the best swim spots in the region. Pop up your sun umbrella we lend you, cool off in the sea, and enjoy your piknik. Your taxi will come retrieve you at your predetermined time. On your return, we suggest you enjoy what Cavtat has to offer - funky beach bars under the pines, the charming atelier of Croatian painter Vlaho Bukovac, and the historical cemetery on the hill with a mausoleum designed by Croatia's most famous sculptor Ivan Mestrovic. If you are enjoying it so much that you miss your last boat back to Dubrovnik, there are always taxis and local buses that will take you home. See us for details on this great day you won't forget. Note - not much shade on the beach so July - August take note, perhaps better for later in the day. Tip, rent a car and drive yourself, good option too. The cable car takes you up to the top of Srd hill for a fantastic bird's eye view of the Old Town, Lokrum and the Elaphite islands stretching out below. Option to walk up/down as well - for the ambitious! The islands of Kolocep, Lopud, and Sipan will charm you. Easily reached by a local ferry or by the island hop tours, or skippered sail (see us for details) - a lovely way to spend your day. Find a secluded bay, or one of the churches that boast hilltop views. All three islands have easy walking trails and pretty villages to explore. Lopud Island boasts a sandy beach, and Sipan is our favourite for really feeling like you are experiencing Dalmatian island life. Why not? Heading to Split? Montenegro? 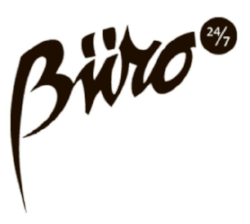 Bosnia? Not sure where...? Instead of searching for a restaurant on your way, enjoy our packed to travel pikniks to enjoy along the way to your next destination. We can give you tips on where to stop for a swim or sightsee as well! We are always coming up with new ideas, and collaborating with others just as passionate about Croatia, adventure and good food! 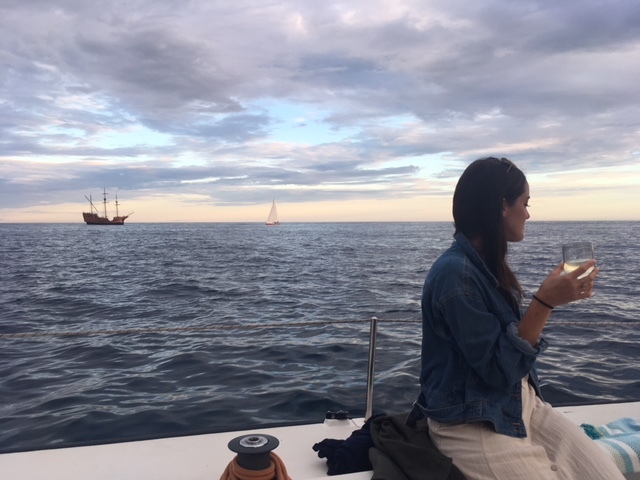 Take a piknik on a skippered sail with Dubrovnik Sail, combine a piknik with a bespoke tour by Insider Tours (hint hint wine tasting on Peljesac Peninsula), or Hiking Dubrovnik excursions such as a hiking and swimming trip to Kolocep island that will help you work up a good piknik appetite! Take a picnic kayaking - we have dry bags for your use. Follow our Facebook and Instagram pages for tons of inspiration about Croatia, new recipes, great people, adventures, and special events. Piknik Dubrovnik is always evolving! ***DURING HIGH SEASON mid June - October it is advised to order 24 hours advance notice for pikniks for 2 -4 guests - minimum 2 days notice for larger groups please! 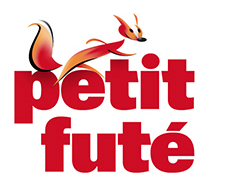 This is a hassle free delivery service with a convenient meeting point for you to take your piknik and go! We like to communicate by email so you have all the details, and no mistakes are made in your order, for a perfect piknik! If you are looking for us to accompany and host you on your adventure, please let us know! The most rewarding thing about creating Piknik Dubrovnik is the stories and appreciation our guests return with at the end of the day! Piknik is all about experience and inspiring you to explore. PIKNIKERS ARE GREAT PEOPLE, thank you everyone! The food and wine is just superb and we loved every aspect of it! The piknik was such a wonderful way to closeout our last day in Croatia and the spot you told us about could not have been better!!! We loved all of it! The food was wonderful and such a complete experience! Your rose hips lemonade was such a palette cleanser OY! !...we just can't say enough about the whole experience. Thank you for everything! :) As a side note.. Its a brilliant idea....its a really brilliant concept and you do it well!! :) nuff said! "Now to the meal itself. We got out our menu and wow it was fabulous! There were lots of little boxes and it was great to open them up to reveal their delicious contents. The tiffin box was so great! A lovely touch. Everything was fresh and a great deal of thought had gone into the ingredients.. so you felt at least you were getting real local food. Truly perfect". 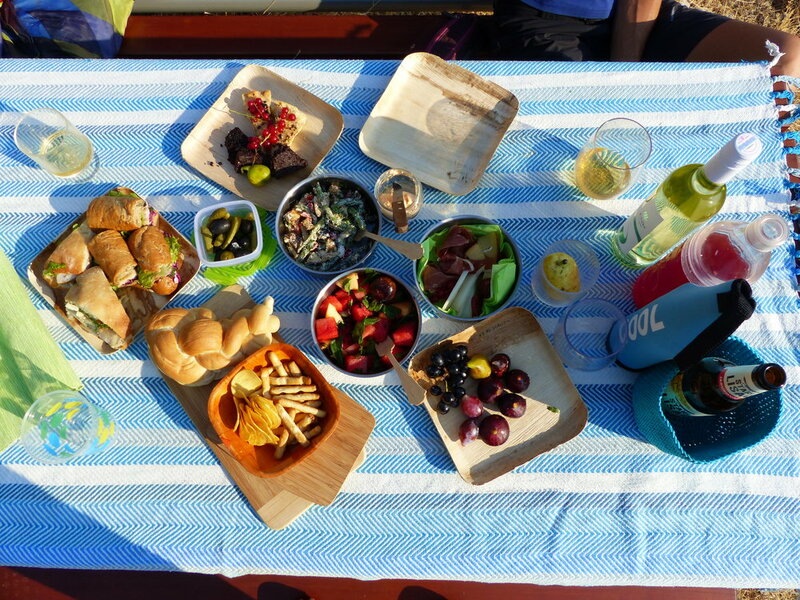 "Thanks again for the wonderful picnic, which was full of delicious surprises. Jess and I loved unpacking it to find all the goodies and we also liked that you seemed as excited to have made it as we were to receive it!We spent a good long time under the olives gorging until we could go no further." "The piknik was amazing!!! Perfect weather sitting in the olive grove with the bunnies and the peacocks. Went for a swim after and fell asleep on the rocks. Wow!! The food and wine you prepared was something else and we were blown away! !Thank you so much for everything and all the tips!! - some happy Canadians. Sailing Piknikers! 'The food was amazing and the attention to detail was fantastic. The skipper, Lawrence, was impressed with the freshness and locally sourced ingredients." Honeymooners took a take away piknik to the beach while they waited for the ferry to Hvar. " It was amazing! We loved everything and it was perfectly chilled." Are you planning your holiday, honeymoon, getaway to Dubrovnik and the Balkan region? IT IS ALWAYS SMART TO ASK A LOCAL! We are on top of what is new and interesting, where to find great meals and ambience, nightlife, culture and secrets of the region. Feel free to reach out with questions, and have a look at some of our partners below. Our new partners, and thumbs up to another company run by women! Roki Adventure is all about the outdoors and exploring. VILLA VATIKAN - a great seaside getaway spot in the middle of wine country, and a perfect compliment to a southern Croatia holiday. We are working together to promote the beauty of the Peljesac Peninsula. Take it from us - to really relax experience the beauty of Dalmatia head this way for a wonderful stay, gourmet homemade food and fabulous hosts in a historic captains house!